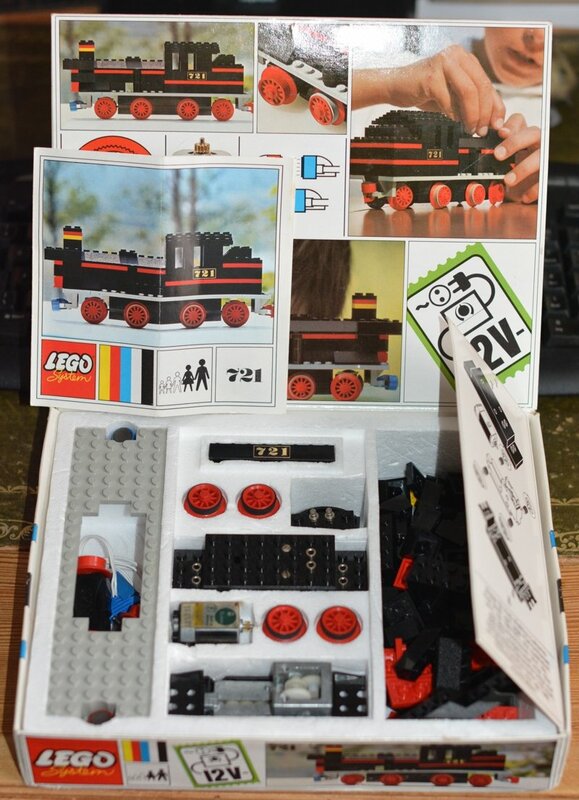 According to the inventory lists on Bricklink and Peeron this set contains not the track contact base however the extra inlay which you can see on the right hand side of the box reads in German: "[...] Please use the track contact base only with the transformer (12-Volt, direct current), article No 740 [...]." Why would they mention the track contact base if it is not inside the set? Notice the cap on the connector which seems to be only appears in the set 706. Notice also the the spoked train wheel with traction teeth on the inside of the lid. I never saw this before and I even can not find it on Bricklink! NB: the extra inlay was not found on the pictures I see when I searched the internet. Mine didn't come with the track base either and mine is in completely non-played condition. I will take a look at mine after I am done with work. Another thing that you won't see (I know of none in private collections) are the 12 spoke wheels. They are all just 10 spoke that were put into LEGO sets. 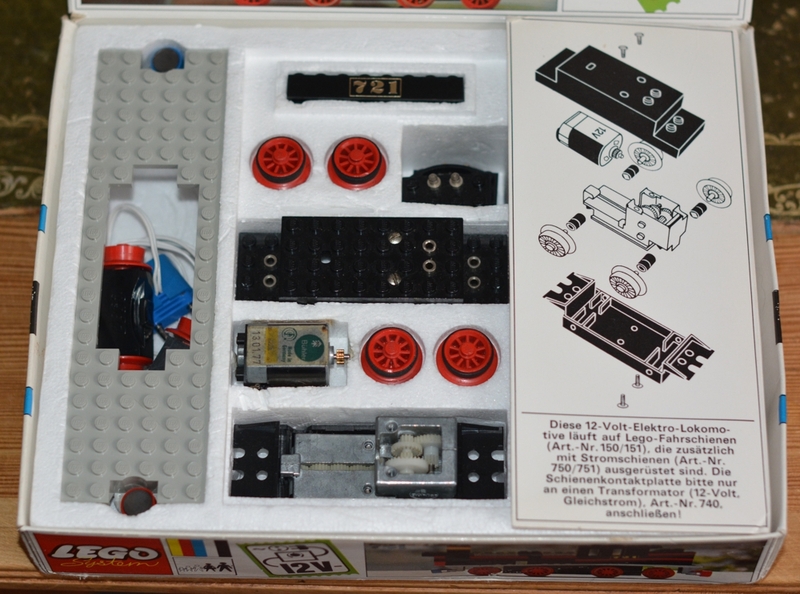 In my LEGO collectors guide chapter about LEGO Sets/Parts not put into production, I show these 12 spoke wheels... which are also seen in the 241 and 242 Idea Books. Also are you talking about these wheels with traction teeth? I was incorrect, mine did come with two cables. I also didn't get the inlay you did. 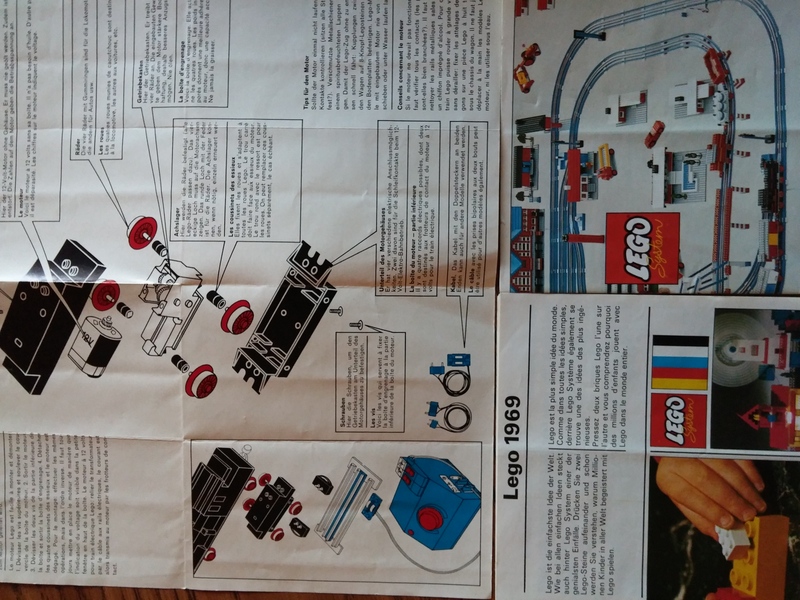 I got a fold out set of instructions and a couple of product catalogs as well. My set didn't come with wheels with traction teeth, just plain wheels. Also, I have black rubber not grey as pictured. No, the spoked wheels as you can see on the photos of my box. But as you said above these photos shows the 12 spoked wheels which I never saw. I think they did come with both wires. 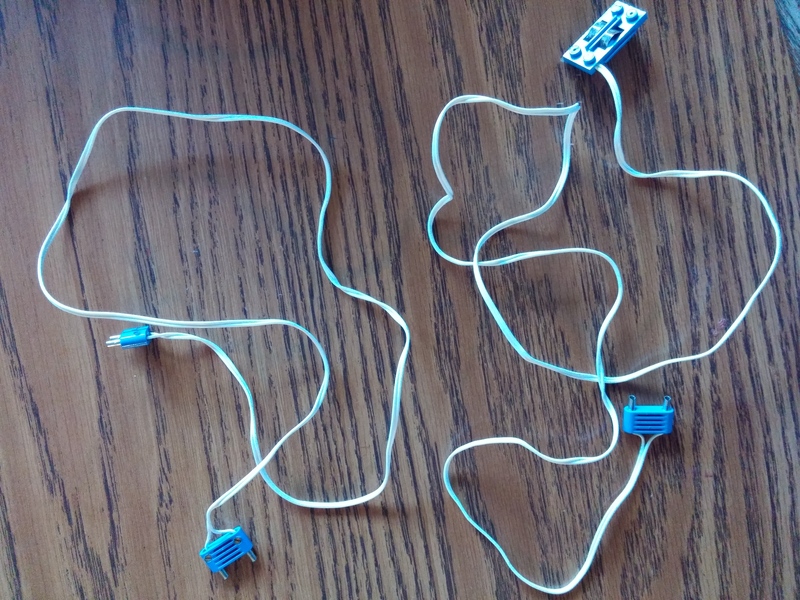 I did translate the text next to the picture in my instructions and it said the other wire with two different ends could be used with other Lego sets.